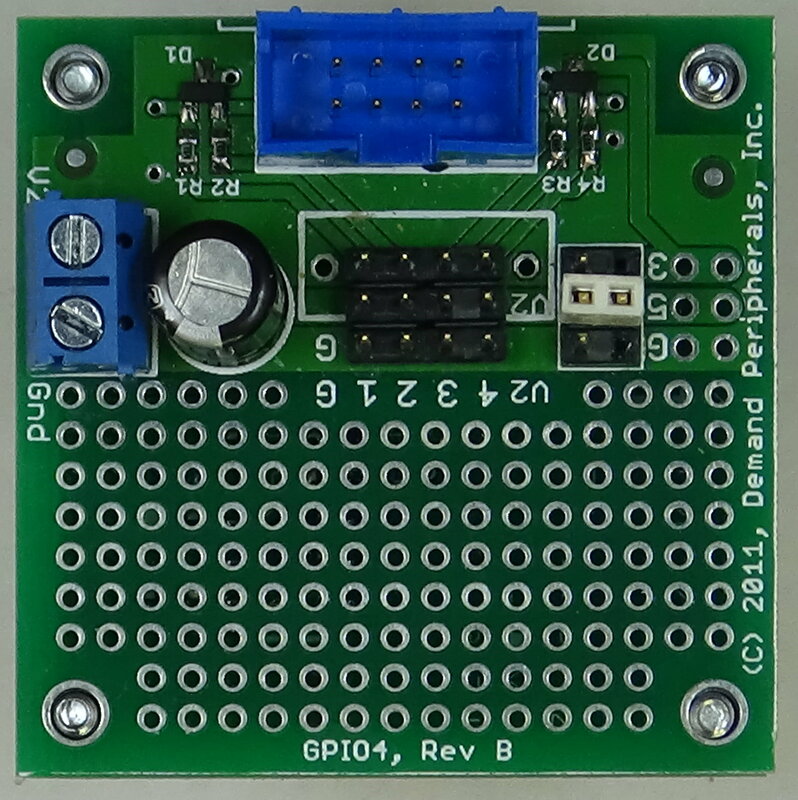 The Quad GPIO card gives direct access to four pins on the FPGA. Output is at 3.3 Volts and input can be either 3.3 or 5 Volts. The pin-header version has four three-pin headers for I/O and has screw terminals to set the voltages on pins 2 and 3. Seperate power lines are handy if you want to power a servo or other circuit from the header. 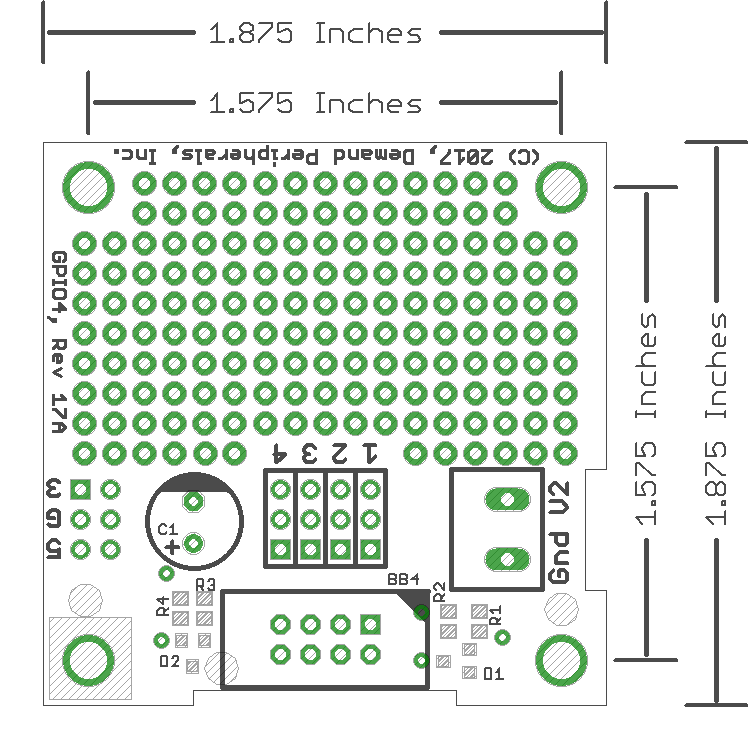 The schematic and layout of the two GPIO4 cards are shown below. 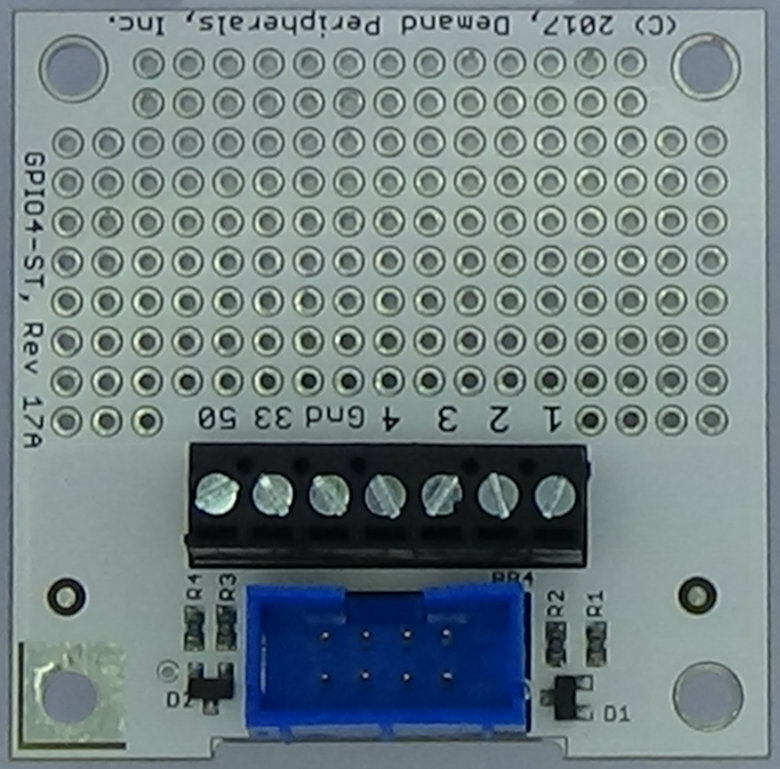 The Eagle schematic and board files for the pin-header version are available here: gpio4.sch and gpio4.brd. 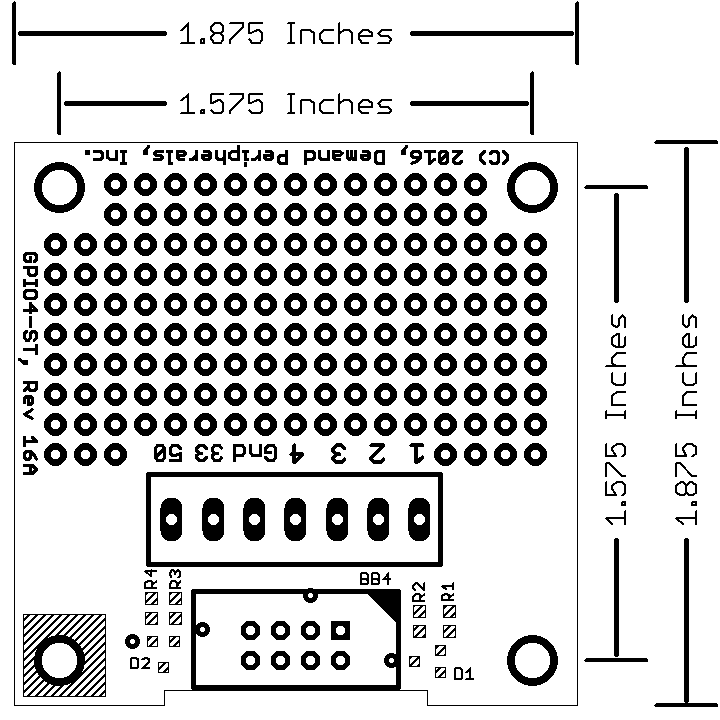 The Eagle schematic and board files for the screw terminal version are available here: gpio4.sch and gpio4.brd. The bill-of-materials files are available here gpio4.txt and here gpio4-st.txt.